If you're wanting to enjoy the outdoors we have boogie boards available for guest use, and barbecues for those frequent sunny days. There are a number of activities in the area, which we would be happy to help you experience. 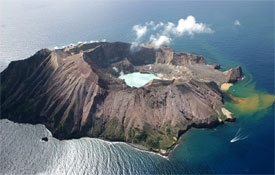 Just 50km offshore this awesome active marine volcano is a once-in-a-lifetime experience. A number of companies in the area offer you the chance to either head out there for the day by boat or fly out by helicopter. 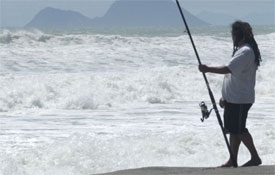 The seas around Ohope abound with fish and our local Big Game Fishing Club holds a number of New Zealand and World record catches. Sophisticated, safe and experienced charters are readily available. World-famous river and lake trout fishing with or without guides can be enjoyed within an easy drive of Ohope. 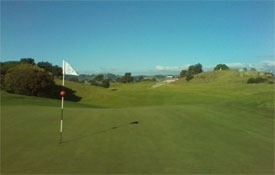 Ohope boasts an excellent golf course, only 10 minutes drive from the motel. You don't have to be a member to play there either! 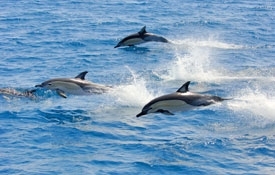 There are often large pods of dolphins in the area and charters will take you out from Whakatane for the amazing experience of swimming with these friendly creatures. 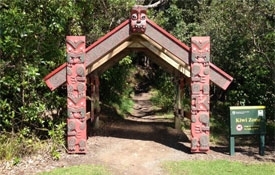 We are always happy to take you to the start of the Kohi Point Walkway where you can enjoy one of the most picturesque short sea walks in the world. The end of the walk is only a couple of hundred metres from the motel. Of course there is always the beach. Ohope's 11km long beach has beautiful golden sand, safe surf and plenty of room for you to enjoy your own space.